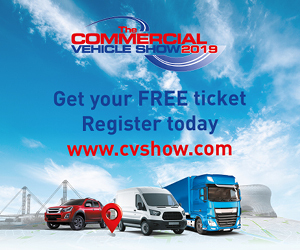 This year sees some major changes in the small van market – changes which promise to create a whole new playing field in the sector. 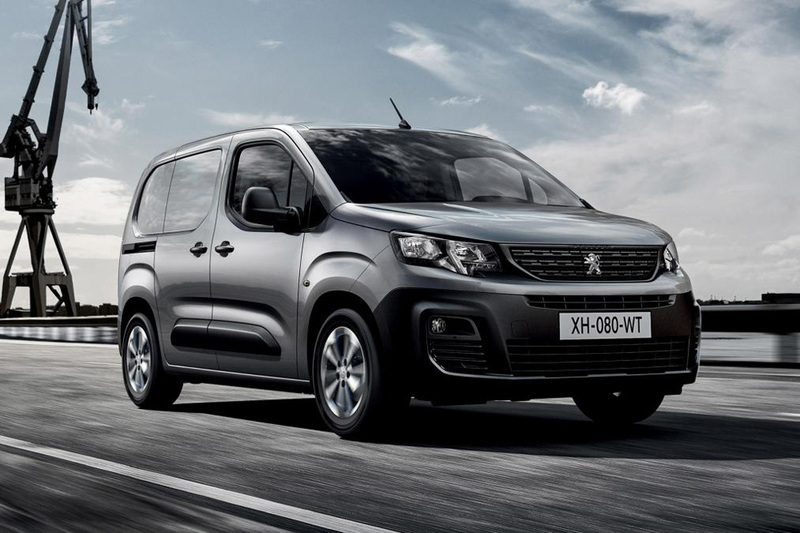 A new Citroën Berlingo and Peugeot Partner are about to be launched – and the new Vauxhall Combo will be a clone of this vehicle too, making it one of the most ubiquitous commercial vehicle models available. Although all three are basically the same vehicle, there will be a few spec and price differences, so which one you choose probably depends largely on either personal badge preference or how friendly your local dealer is. Whichever you choose, you are unlikely to be disappointed as we hold these three contenders in the highest esteem. Prices to start from £15,630 excluding VAT. In terms of appearance, the new trio makes a true generational leap and moves upmarket. Robust and protective, the model gains modern and vivacious exterior styling with flowing lines and assumes a strong character and assertive personality. The styling along the sides focuses on protection and maintains an impeccable balance, whatever the vehicle length. The eye is drawn to the large sliding side doors, which allow easy access to the load area. At the rear, the van keeps its functional appearance and ‘van spirit’ with vertical lights. Inside, the cabin has been completely redesigned. The goals of the design team were simple: in a segment governed by expectations of practicality, they wanted to create the best possible combination in terms of design and functionality for the model’s new customers. 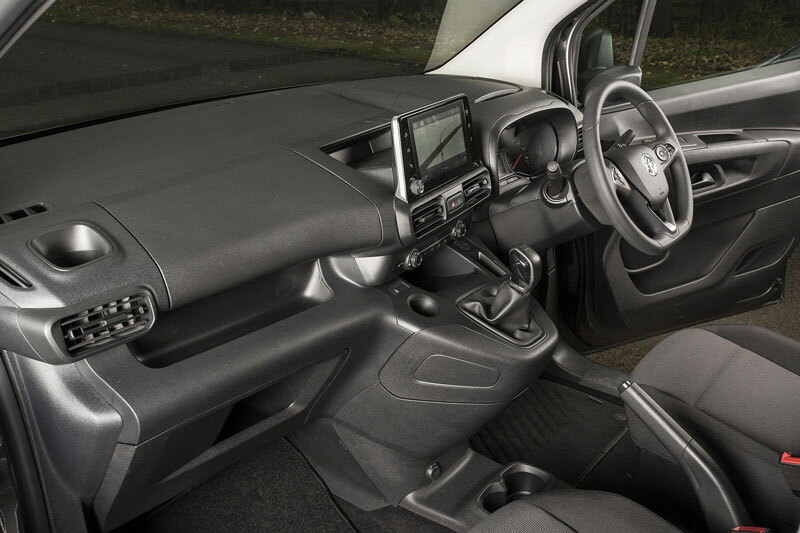 The new van gains a modern and uncluttered dashboard, ergonomically designed with an emphatic horizontal architecture. Drivers benefit from a modern instrument panel, a multi-function steering wheel and a colour head-up display on Citroën versions. The van also features new materials on the dashboard, central console, doors and seats. The materials and trims are intended to be robust and suitable for business use. The cabin features a hardwearing floor covering that can be cleaned quickly and easily. The van is also available with optional plywood lining (floor and side panels), for enhanced load area protection. 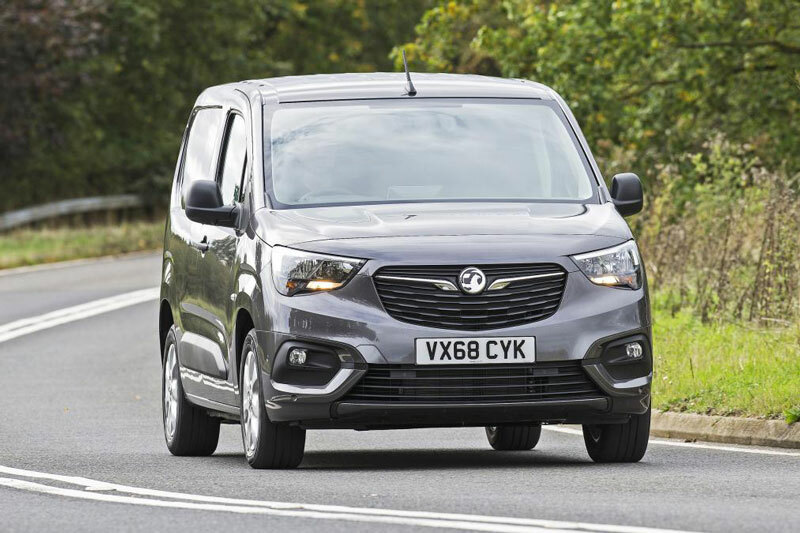 As with the passenger car version, the new van is available in two sizes, the standard version measuring 4.40m long with a 2.78m wheelbase and a long version measuring 4.75m long with a 2.97m wheelbase. The long model is well proportioned in terms of wheelbase and rear overhang. Designed for professionals who travel together, the Extenso Cab can transport three people in the front, with the central seat able to transform into a mobile office with a pivoting writing table. The cab adapts to all situations and features a folding side passenger seat providing optimal load length and increasing load volume from 3.3 cu m to 3.8cu m in size M, and 3.9 cu m to 4.4cu m in size XL. Both versions are equipped with a range of storage spaces around the cabin to keep documents and tools within handy reach. The crew van is intended for businesses that need to accommodate up to five people (two in row one, three in row two), and to carry loads as well. It is available as an XL version only and does not require conversion as it is available directly from the manufacturer. The new van offers three dedicated versions, each one with specific features for its professional customers. The first versions (named ‘Worker’ for Citroën and ‘Grip’ for Peugeot) target businesses that transport equipment and people – in the construction industry for example. This version has three front seats, raised ground clearance (+30mm), a protective plate under the engine and enhanced traction thanks to Grip Control with Hill Descent Assist. The model stands apart with its large wheels (690mm) with mud and snow tyres, extra payload of up to 1,000kg and a Loading Pack with enhanced LED lighting in the load area, overload indicator, 12v and 220v power sockets and mid-height load securing rings. 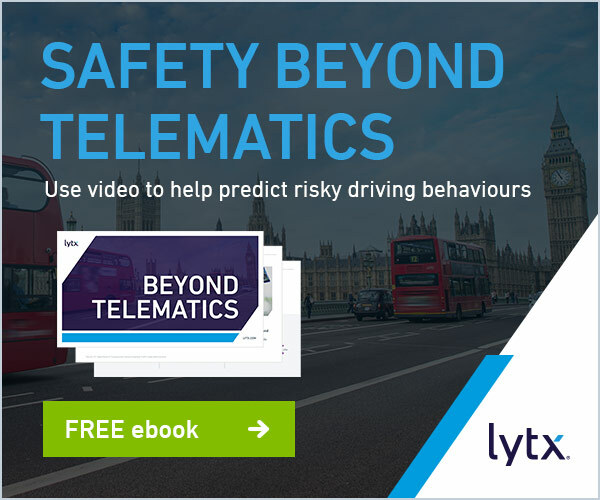 Enterprise or Professional versions offer a host of standard kit such as air-conditioning, rear parking sensors, cruise control and programmable speed limiter, an alarm, extra passenger seat with writing desk, DAB radio, MirrorLink and a USB port. The ‘Driver’ or ‘Asphalt’ versions are for companies and their employees who need to make longer trips or numerous deliveries in urban areas. For day-to-day efficiency, this version stands out through its ride comfort, meticulous acoustics and driver assistance systems. It is available with acoustic enhancements, dual zone air-conditioning, seats with lumbar adjustment, automatic headlights and windscreen wipers, cruise control/speed limiter, automatic electronic parking brake, 8-inch colour touchscreen with sat-nav and DAB radio and the surround rear vision system. 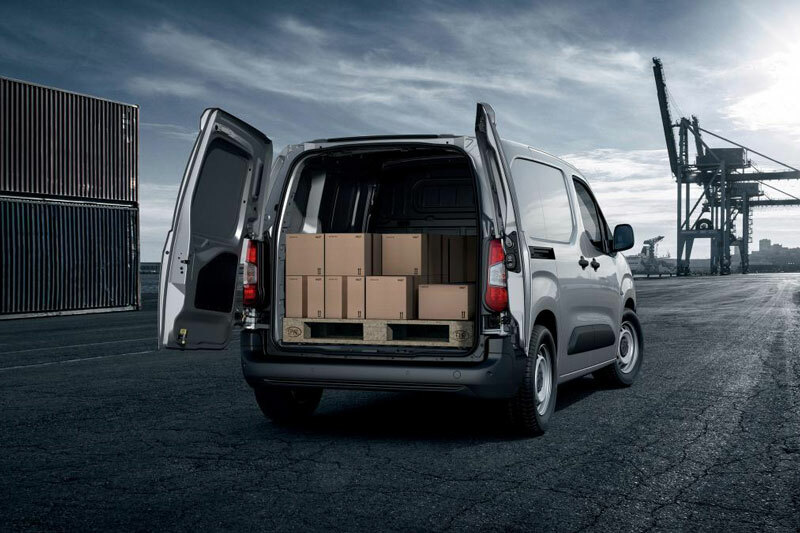 The new van is available in a variety of configurations, with one or two sliding side doors. The sliding doors provide optimised opening width for easier loading and unloading, regardless of where the vehicle is parked. At the rear, the van is equipped, as standard, with 60/40 split unglazed rear doors, which open to 180°. To meet the needs of certain businesses, it can also be equipped with optional glazed rear doors (60/40, opening up to 180°), with heating and a wiper on the larger door. Designed from the start with interior comfort in mind, the new van scores highly for practicality. It is equipped with a plethora of ingenious storage spaces at the front for everyday objects, from the smallest (pens and coins) to the largest (15-inch laptops and folders). There are 113-litres of storage in the compartments overall. This includes a drawer under the driver’s seat, the ‘top box’ glove box (made possible by the ‘airbag in roof’ system), a lower glove box, an overhead storage unit, various small storage areas, large door bins and up to four cupholders. The vehicle is also home to two USB sockets, two 12v sockets and one 220v socket. 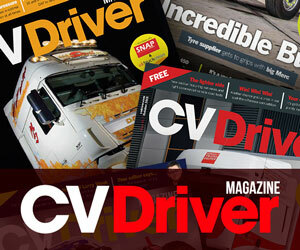 The van range is a dynamic on-road performer and brings businesses true cost efficiencies. Performance has been upgraded through the combination of the new lightweight EMP2 platform and latest-generation fuel-efficient engines with low CO2 emissions. The van is available with the PureTech 1.2 petrol and BlueHDi 1.5 diesel engines, which are adapted to use in the city and on the motorway. The engine range respects the environment, delivers exceptional performance and controlled real-life fuel consumption. It is also equipped with the new generation EAT8 automatic gearbox for enhanced ease of use over all distances. Load volume: 3.3m3 size M / 3.9m3 size XL.